Are you afraid your credit score will pit-stop your next vehicle purchase? Here is the information you need to get car loans with bad credit. So you've got your eye on a bright new shiny vehicle, but you're a little worried your bad credit score is going to get in the way of making that car yours. While having a good credit score is certainly useful for getting car loans, bad credit doesn't necessarily disqualify you. If you're serious about getting that vehicle and confident you can make the loan payments, there's a few things you can do to up your chances of getting approved for a loan. Read this article to discover how to get car loans even with bad credit! Even if you've had a few screw ups, your credit may not be as bad as you think. To know exactly how your credit looks in the eyes of the lender, you'll want to obtain your credit score and credit report. Run it at least a few months before buying and take action immediately on any outstanding items. Annualcreditreport.com gives you one free credit report each year to take advantage of. To put your score into perspective a bit, the average score in America is 687. Believe it or not, you can actually afford to be a little picky, even if you have bad credit. That's because some lenders will not see your tarnished history as negatively as others. However, be wary of lenders who cater specifically to subprime consumers. This is usually a red flag that they're a shady business. Best lenders to look for? Those who cater to financing consumers for auto loans, as opposed to low-credit clients, are going to be your best bet. Check out local and regional banks, name-brand national banks, and well-known online lenders. It may be a long shot, but the place to start is close to home. Go to your bank or your credit union first. If they both say no, check with your employers to see if your insurance company offers auto financing. It's always a good idea to have a second set of eyes and ears around to catch anything you might miss when shopping for car loans. However, a buddy can also help out if the lender's deal doesn't seem right. Two people acting critical and unimpressed with the loan conditions is certainly better than one. One thing you and your buddy will definitely want to avoid is lenders who offer lower monthly payments over a long period of time. This is because you'll end up paying more in the long run. Go for the cheapest money- the loan that has the lowest annual percentage rate over the lowest period. If your efforts to get approved have come up futile, consider a couple other alternatives. You could try and convince a friend or relative to cosign the vehicle purchase for you. Meaning, if you miss a payment, they're responsible. Another option is leasing a vehicle for a year or two, which is always cheaper than purchasing. Plus, this option will give you more time to save up and hopefully get your credit score in check. Getting approved for car loans can be a tricky game. But if you do your research and follow the steps above, your bad credit score may not come back to haunt you. If you do get approved- congrats! 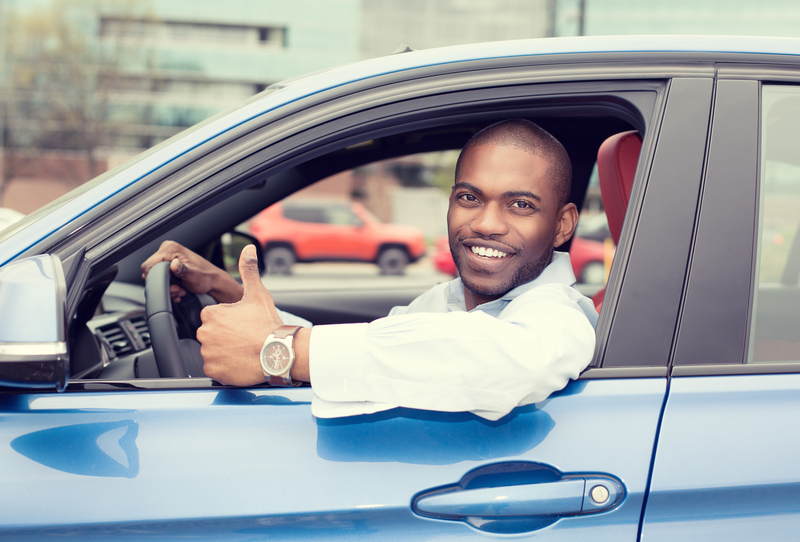 Once you have your vehicle, it's now time to start shopping around for the right car insurance. Got any questions about car loans? Drop us a comment or contact us today!